Ready for a night of uptown romance and high-toned glamor? 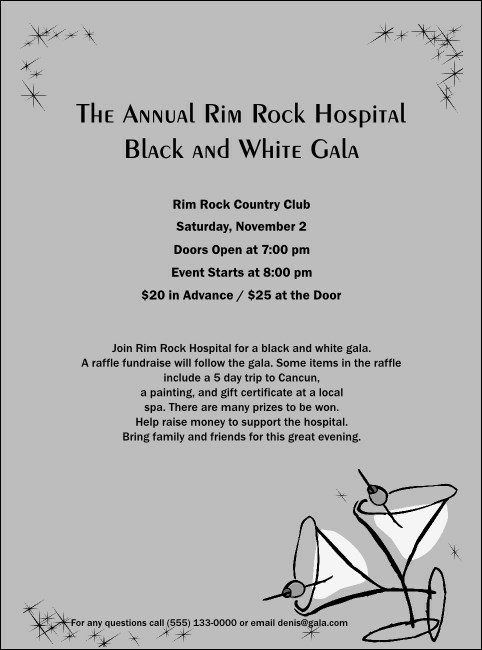 For black and white galas, parties, and balls, a gray, starry flyer with a pair of martini glasses communicates class. In conjunction with the Gala Event Kit, this flyer template gets the word out about your spectacular upcoming occasion.